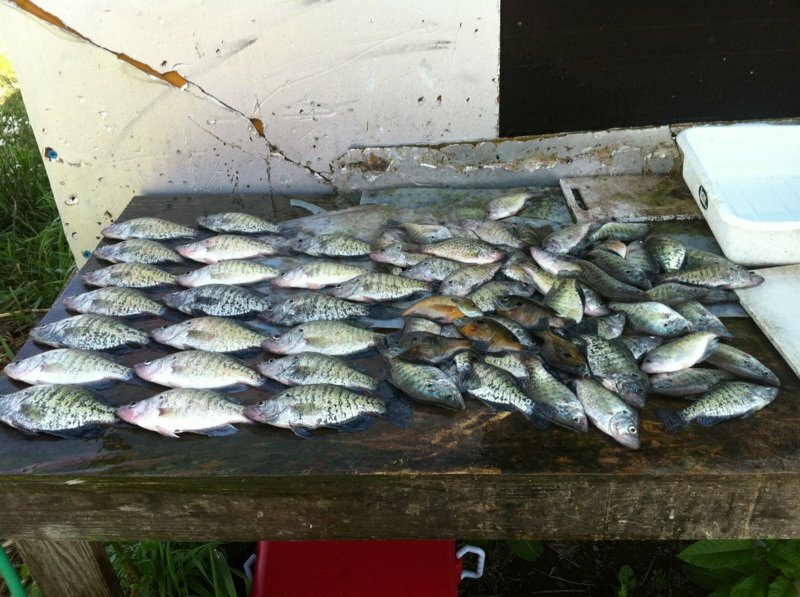 Crappie are biting very good. We have been catching the best quality in 8-15 foot of water. You can still catch a lot of fish shallow but you catch a ton of small fish. Both jigs and minnows are producing well right now. Crappies r going nuts Still. Deep water is good shallow is good. The numbers of fish are amazing. Weed through the small ones to find the big ones. 3 - 14 feet of water is all good. Minnows and jigs both are great. Bass are everywhere also flippin shallow as well as rocks are both producing. The cats should be in the rocks very soon. Try cut shad and shrimp. 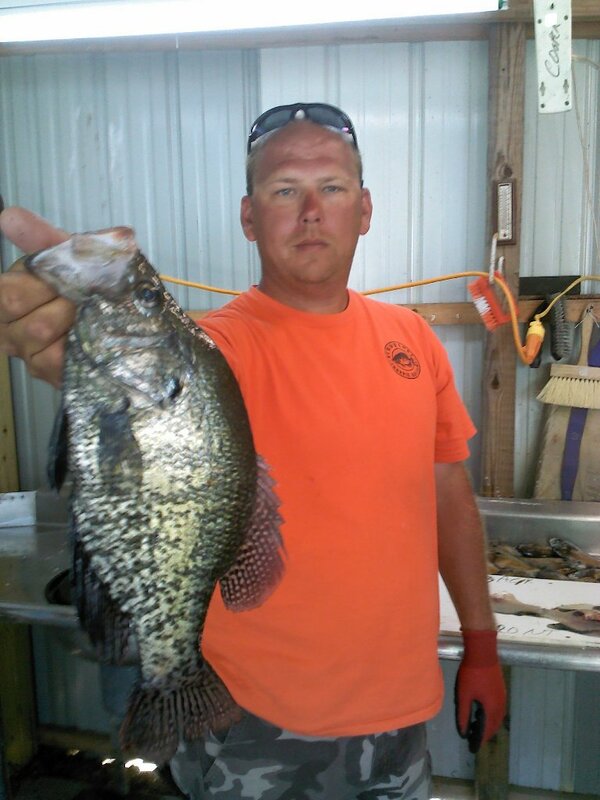 This past week the crappie have made a big move from the bank to the deeper water fun time is here! The deep water destruction has started if you are looking for a great time and big numbers of fish it is time to book your trip . We are all looking forward to hearing from you! The crappie,bass , bluegills, and catfish are eating like sharks. Crappie are shallow eating minnows and jigs. You can alo catch em deep minnows are best. Bass are all over as well. 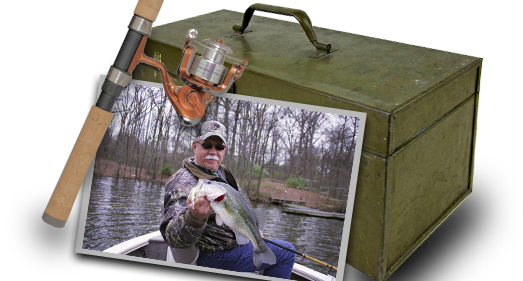 Jigs and Cranks on the rocks or shallow spinnerbaits and creature baits. Cats are everywhere too, cut shad or shrimp is great. Crappie bite is still going strong. We have been catching fish in 1-3 foot of water and also in 8-15 foot of water. Lake is looking great for the future as well, we have been catching a lot of smaller fish with our keepers. It has not been uncomon to catch 200+ fish a day.